Control queue management, patient access, appointment booking, and healthcare campaigns from a single, cloud-based dashboard with Jayex Connect – the first consolidated platform for patient engagement. Jayex Connect provides all the tools needed to improve patient experience and boost patient engagement within your hospital or practice. From SMS campaign management and online appointment booking to patient self-check-in and customisable surveys, everything you need is accessible from one easy-to-use interface. Offer an online appointment booking and repeat prescription service that suits the modern, on-the-go patient. Deliver a waiting room experience that aids your engagement efforts and boosts patient satisfaction, with multimedia digital displays and custom content creation. Improve waiting room congestion, free up administrative staff, and deliver an improved patient experience with patient self-check-in. Better inform your patients of important health reminders with our email and SMS campaign manager. 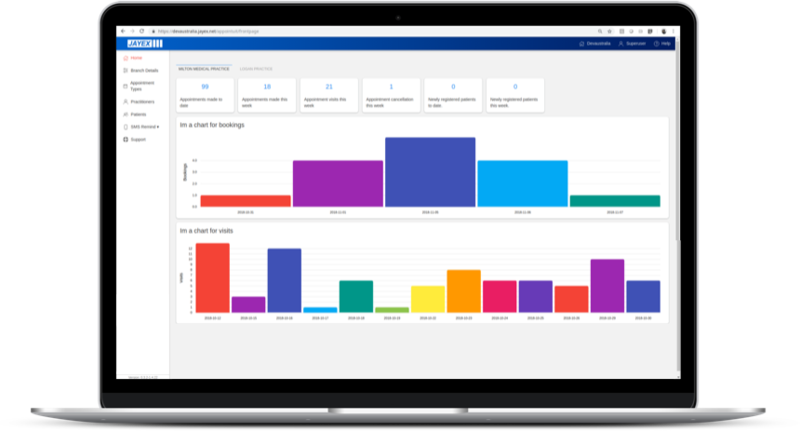 Create your own custom patient surveys, and get a panoptic view of patient trends with comprehensive reporting. While Jayex Connect is most effective as a complete platform, each of the five modules is available as a standalone tool. Improving patient check-in a priority? No problem, Jayex Arrive can be used independently. With Jayex Connect you choose the combination of tools that best fits your hospital or practice. And, there’s no need to buy new hardware – we’ll provide you with a simple plug-in for your legacy technology and help you set it up. “Jayex Connect has so much potential for boosting patient engagement and giving us a better handle on patient trends and concerns, we really believe this is just the beginning." “The ability to create our own content and target what we show and where is proving invaluable for this winter's health campaigns." Can Patient Engagement Technology Enable Educational Outcomes? Ready for a Simpler Way to Manage Your Patient Engagement? Then book a free demo of Jayex Connect.